These 2" Mini Bowls offer a unique and beautiful way to serve dipping sauces and Mustards. Or try using them for flavored oils and balsamic vinegars at your next wine party... just add a loaf of crusty bread, and your guests will swoon! They also make great kitchen helpers as pinch bowls for your go-to herbs and spices. 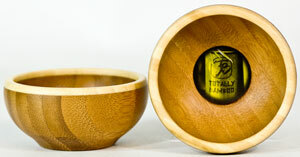 Each bowl measures a petite 2" in diameter x 1-1/4" high.